This original two storey property was complemented with double bay fronted extensions. 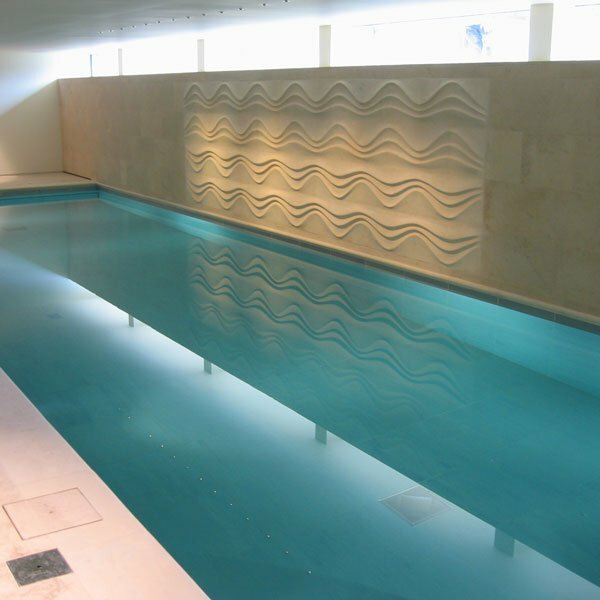 This was then enhanced with a new wing encompassing kitchen and family room, studio workshops, gym and indoor swimming pool finished in Portland Stone. 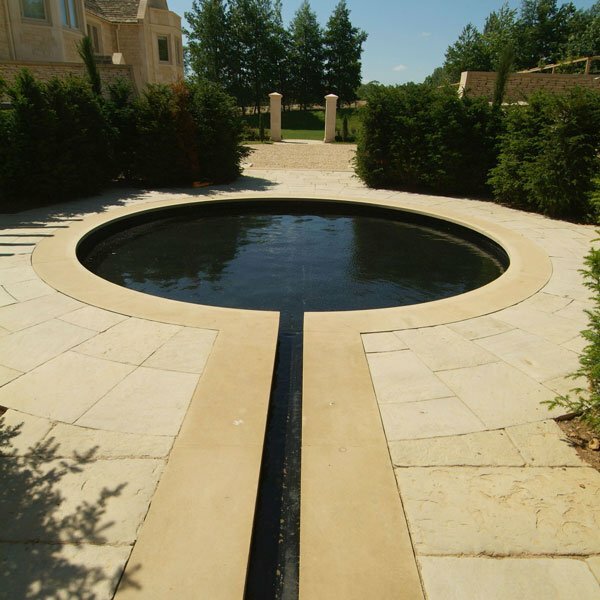 Of particular delight was the three tiered garden which incorporated a rill and reflecting pool. From the moment you see the stone pillared entrance you are inspired by the traditional skills involved that complete and execute a 21st Century home with it’s traditional stone features and security. Syeford stone was used for the external dressings and Stanley Bed One for the building stone which was complemented by the French refined limestone flooring. The external wall copings and rill edging were made from Stoke Hall sandstone and Huntsman’s Classic Gold was used to make the drystone walling. 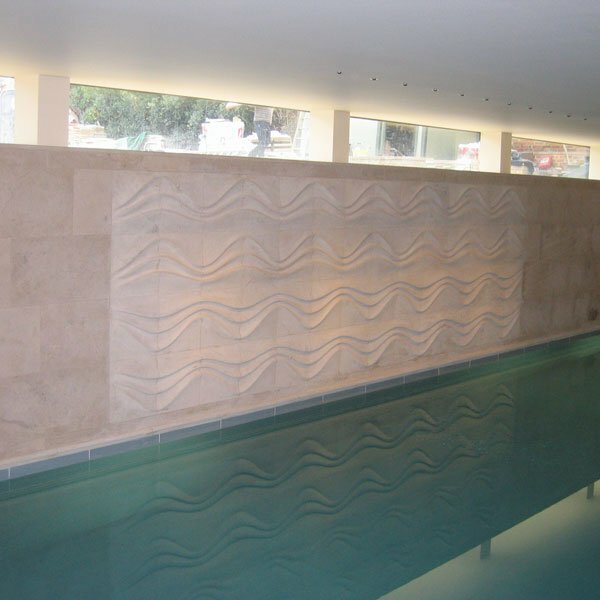 Materials: Syeford stone, Stanley Bed One, French refined limestone, Stoke Hall Sandstone.